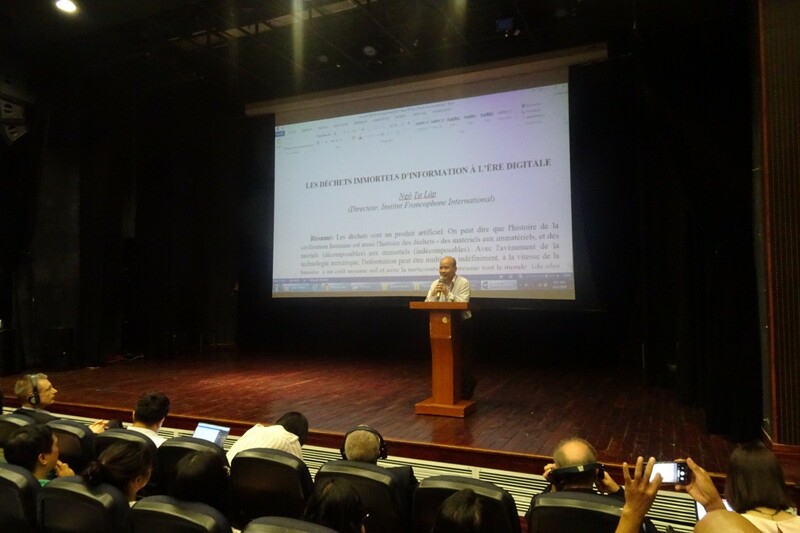 The International Scientific Conference was a great success with participations from Vietnam National University, French Embassy, French University Organization (AUF), Toulon University, and other organizations: Business Forum Newspaper, Academy of Journalism and Communication and Hanoi University. Presentation by Prof. Dominique Carré mentioned of a problem (often overlooked) is the negative impact of digital media and hyper-connection to the environment. Presentation by Dr. Tuan Tuan Anh mentioned of issues in IT application to the e-government development in Vietnam while IT is only a tool role. 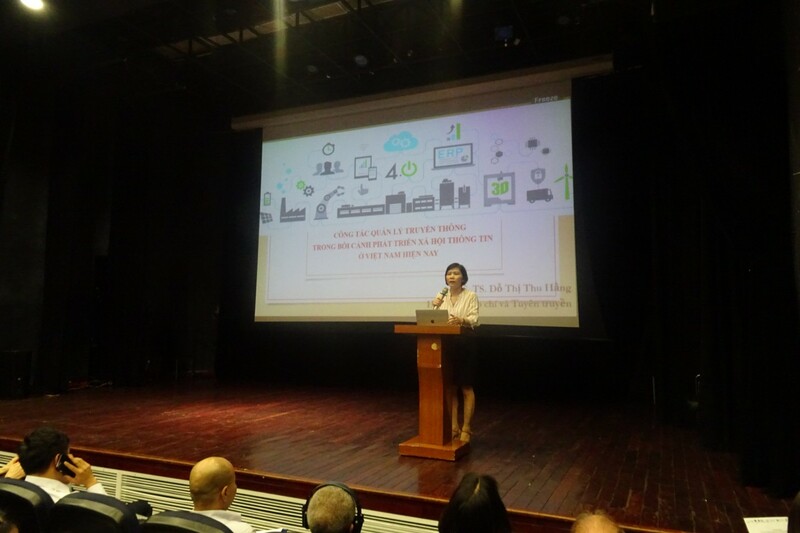 Director of the Institute of Journalism and Communication - Academy of Journalism and Communication - Dr. Do Thi Thu Hang mentioned of the issue of media management activities in Vietnam during the digital transformation process. Mr Pierre Bonnet - Leading expert on Big Data and cofounder of Tibco Orchestra Network Group mentioned of the explosion of information and the risk when people are controlled by "super consciousness" from AI and Big Data. In the field of Education, two scholars Dr. Dang Thi Viet Hoa and MA. 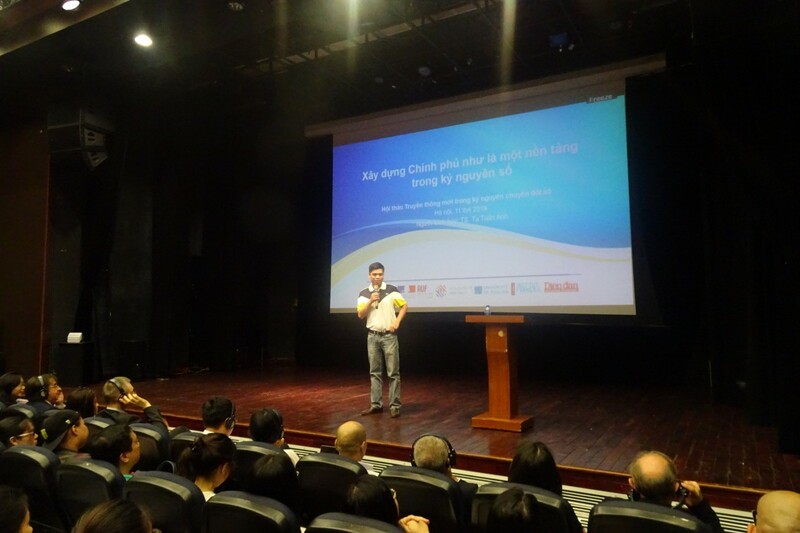 Nguyen Thanh Huyen mentioned of the multi-faceted impacts of social networks on the Education Environment. 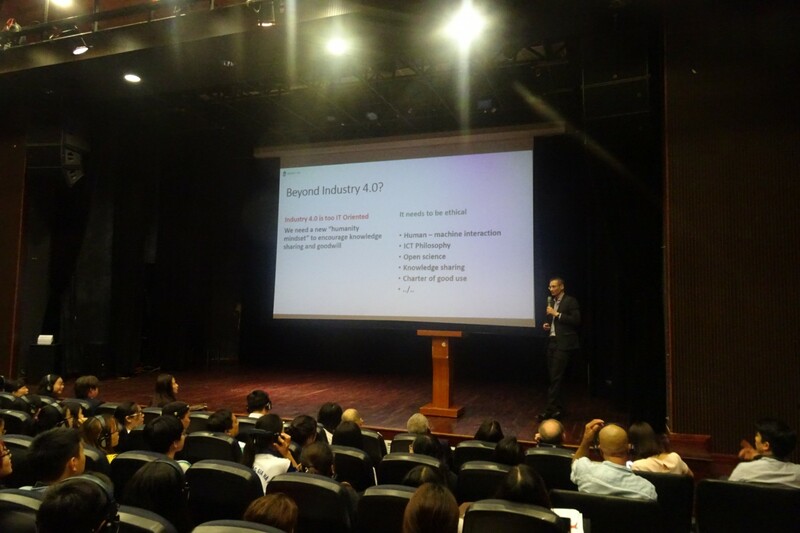 Presentation by Mr. Pham Ngoc Tuan - Executive Editor of the Vietnam Business Forum Newspaper mentioned of opportunities and challenges of digital technology for a media organization. 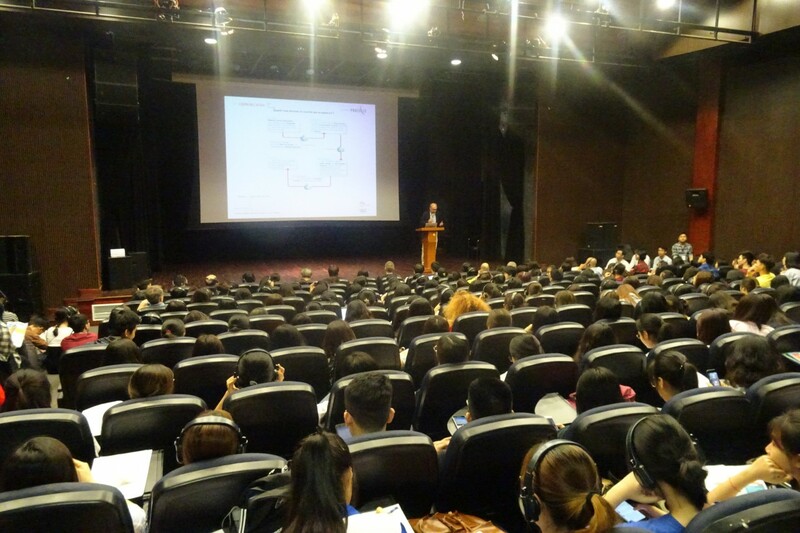 Presentation by Dr.Trần Quang Diệu mentioned of Information Security issues. 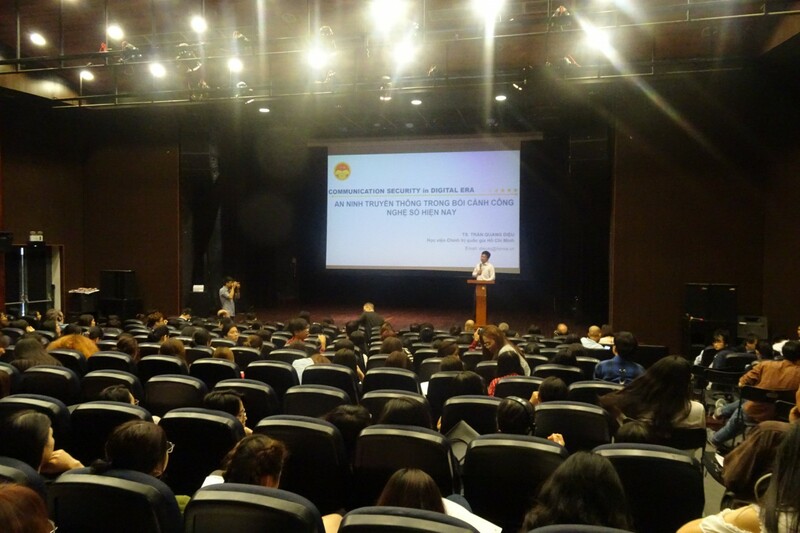 Presentation by Dr. Ngo Tu Lap (aspects of Philosophy) - IFI Director mentioned of the risk of "Information Garbage - Immortal Information Garbage” in the trend of non-socialization individuals under the digital communication impact. This International Scientific Conference is a part of Academic Seminar series (DAAS) and in the development strategy of Information and Communication Science Major. The Master Program in Information Technology, minored in Data Communication and Computer Networks. 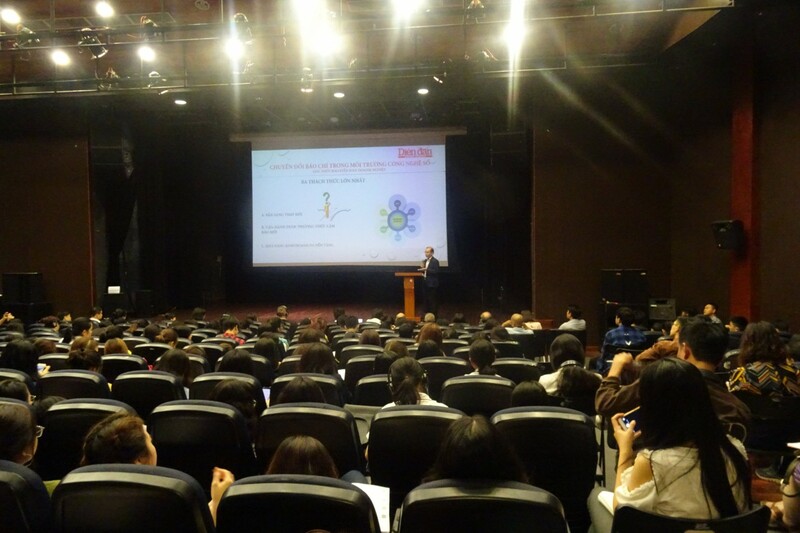 All of these programs have the cooperation of French partners and the participation of foreign experts.